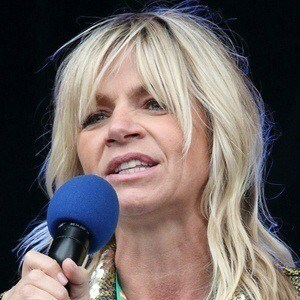 Host of the children's television show Live & Kicking who became the first woman to host BBC's Radio 1 Breakfast Show. Her first exposure to television came as studio audience member on a Saturday morning children's show. Although best known for television, she broke new ground for women in radio as well. She married musician Norman Cook , better known as Fatboy Slim. She and Jamie Theakston were co-hosts on Live & Kicking.